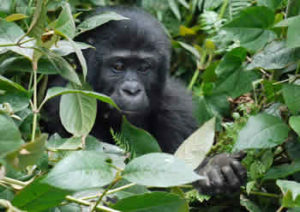 This 3 day Gorilla trekking tour package is customizable – the client can choose to track mountain gorillas in any of the 3 bordering countries: DR Congo, Rwanda or Uganda. Day 1: Transfer to Kisoro-Uganda from Kigali. 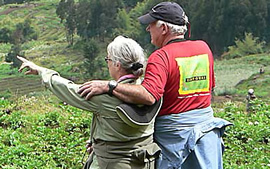 In the morning, you will have a Kigali city tour, and after lunch, transfer to Kisoro-Uganda, on the border town with DR Congo and Rwanda, on the foothill of Mt.Muhavura. Dinner and overnight at Travelers rest house/ Kisoro tourist hotel. Early morning, you will cross over to DR Congo and head to Virunga national park for the memorable adventure with the gorillas. This will be preceded by a briefing from the authorities of the park, before setting off for the trekking into the rain tropical forest searching for the habituated gorilla family. You will remain close to the beautiful primates for a maximum of one hour, make observation and photography. Make sure you carry with you packed lunch and water. After tracking cross back to Kisoro-Uganda for dinner and overnight at your hotel. After a relaxed breakfast drives back a scenic journey to Kigali, reaching by lunchtime. In case your departure flight is on schedule, proceed to the airport for your flight. In the morning after a relaxed breakfast, you will transfer back to Kigali, with a stopover on the way to admire the beautiful topography and shopping. Have city tour in Kigali where you will visit the local market, museum, genocide memorial center. Dinner and overnight at your chosen hotel or transfer to the airport for your departure flight. Day 1: Transfer to Bwindi. Start your Uganda gorilla tour with early breakfast, in the company of our tour guide transfer southwestwards to Bwindi National park. 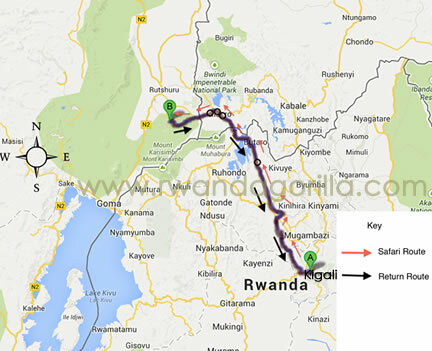 The drive from Kigali to Ruhija sector – Bwindi, it will take you approximately 4 hours. Overnight stay at Bakiga Lodge (mid-range), Gorilla Mist Camp/Gorilla Safari Lodge/Chameleon Hill Lodge(luxury). After breakfast transfer back to Kigali through Katuna border point.